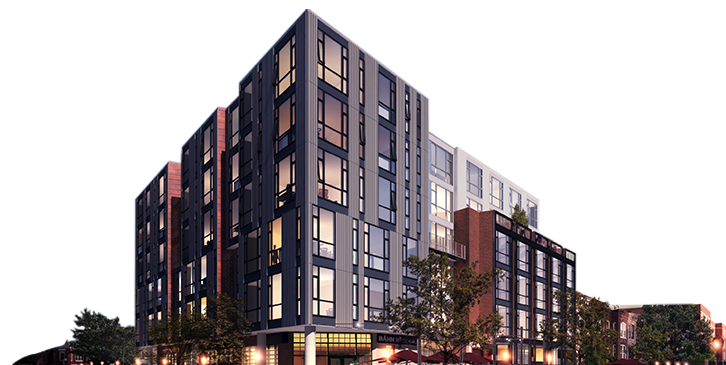 Change of plans: The JBG Companies’ Hatton project will be marketed as rentals, not condos. The 91-unit building at 1921 Eighth Street NW was previously slated to open for sales, starting from the high $300,000s. Instead, the apartments will be merged with The Shay, a 154-unit rental at 1924 Eighth Street NW, the Washington Business Journal reported. Like Pangaea*, the two buildings were originally one development; JBG first pitched The Shay as a 245-unit rental with two towers east and west of 8th Street at Florida Avenue. In June 2014, the developer said that the units at the smaller eastern building would be marketed as condos through McWilliams Ballard, along with 2030 Atlantic Plumbing at 2030 Eighth Street NW. Then in mid-December, the company announced that both buildings would be rental. The Shay rentals will consist of studios, one-bedrooms and two-bedrooms with a vintage/industrial design, according to the official site. Amenities at the Hatton and Shay buildings include an outdoor swimming pool, landscaped roof decks, outdoor patios with grills and kitchens, lounges, conference room, bike storage and dog-washing station.